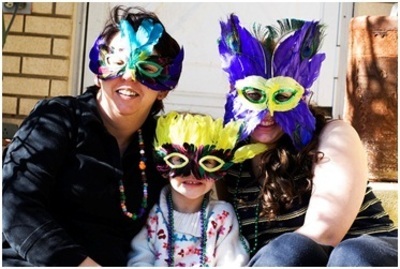 Kids love masquerade parties because they're fun and entertaining. These celebrations are a perfect way to make kids happy on their birthdays, on Halloween, and during Mardi Gras events. However, no party is complete without an equally attractive masquerade mask. 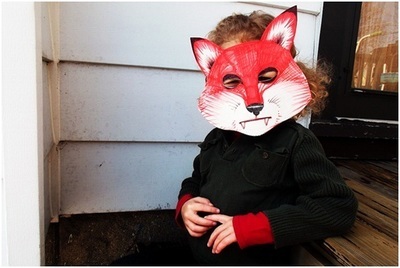 Here are some tips to make your kid his very own mask without having to spend a lot of money. •	Extra materials for decorative purposes: rhinestones, puffy paint, sequins, aluminum foil, ribbons, etc. Does your child have a special template in mind? Some of the most common shapes for masquerade masks only cover the eye area. Kids usually want to be famous characters like Batman, or ferocious animals such as lions and bears. Listen to their requests and print out their favorite shape on a card stock. Cut out the mask and don't forget to make holes for the eyes. If you want to make a multi-colored mask, sketch the design in order to ease the coloring process. Multi-colored masks are great for kids. Perfect for festivities and all kinds of themed parties, these disguises should feature metallic colors such as silver and gold. Many DIY masks curl at the edges. To prevent this happening you must not add water into the paint. In case the card stock or paper is not thick enough, you should glue the template on a cardboard. If you're not that fond of paint, use crayons or oil pastels to craft the most amazing masquerade mask for your beloved kids. Masquerade masks should look amazing, especially because their main purpose is to make kids happy. Sprinkle a lot of glitter all over the mask, and use white glue to fixate the glitter. Shake off the leftovers and let the mask dry for a few hours. Add some more decorative materials to really make the mask stand out. Use rhinestones, plastic gems, sequins, and gem-style stickers. Kids are absolutely crazy about masquerade parties. They're fun and exciting because they give them an opportunity to make new friends and socialize. In order to make this process seem appealing, parents should organize a workshop and craft a mask together with their children. Let them choose the materials, the accessories, and the shape of the mask. Although you may need a lot of patience to come up with a good product, in the end everything will be worth it. 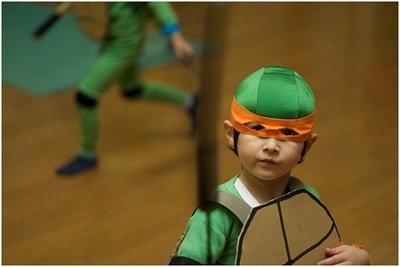 Halloween celebration, play dates, and birthday parties are more fun when kids are dressed in their favorite characters. And since no party is complete without a mask, it's every parent's duty to make one for their little ones. Masks are commonly used in talent performances and school plays, and they're an excellent way of fostering a child's inner creativity. There are many types of masquerade masks for kids you can craft. Here are some ingenious ideas to help you out. •	Mickey & Minnie party mask - who doesn't love Mickey and Minnie Mouse? These cartoons are famous, and it's cheap and easy to find this mask template online. Keep the original black and white colors, and your little ones will adore them. Style your kid's party with a dazzling masquerade mask. Choose from hundreds of templates the one that best matches with their personality. Although children can be a little picky, in the end the whole process of making a mask will certainly bring you closer to each other. It's amazing how much you can achieve with card board and some glitter. Let your kids have the best party and style their outfits with the most original masquerade costume.